Briggs has hit a silly stage. 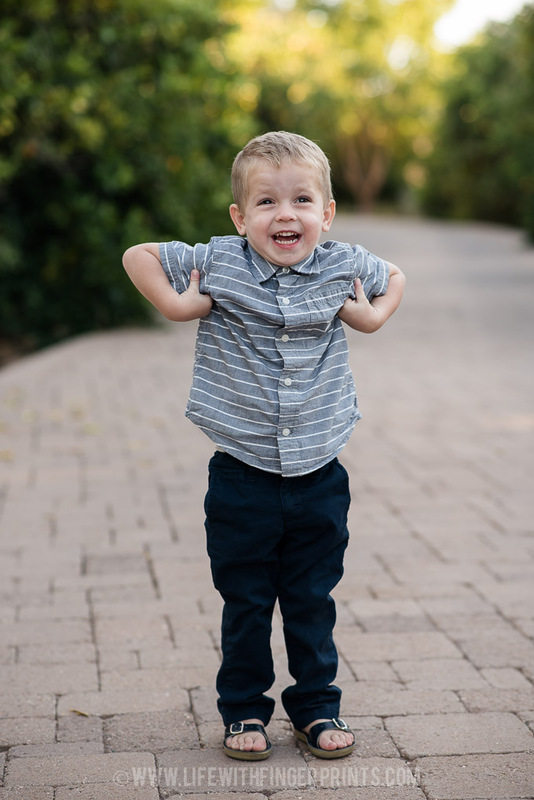 Every picture has become a goofball pose and the more his siblings laugh the more he just hams it up. Sometimes he’s winking, other times he’s doing funny poses with his hands and it’s becoming increasingly difficult to get a good shot of him. More candids (when he doesn’t know I’m shooting) is going to be my game plan. Luckily – we’ve got plenty of pictures to remember this fun stage! We’ve got a mini-Bennett on our hands.